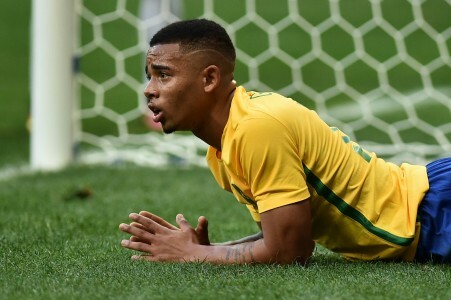 There’s huge intrigue around City’s new man Gabriel Jesus, who recently joined City from Brazilian side Palmerias for a fee rumoured to be in the region of £27 million. The question most fans want answered: can he reignite a season which started so brightly for Pep’s men? South American-born Gabriel Jesus sharpened his skills on the streets as a young player, and his great eye for goal saw him join amateur teams in his local region before securing a contract at Palmerias in 2013. In summer 2016, he shot to global prominence when he netted three in the Brazil Olympics in order to help them achieve gold at the Maracana where he was widely touted as the ‘Next Great’ Brazilian striker. His domestic record is impressive too, as at just 19 he scored 28 goals in 83 games in his Palmerias career. The question for City fans now is whether he will make his debut this weekend against Spurs, and if this is the case, does that spell trouble for the out of form Sergio Aguero? Reports today from Duncan Castles go as far as to say they are prepared to listen to offers for the Argentine. Pep hasn’t shown the greatest faith in young players thus far, being reluctant to thrust the fledgling Kelechi Iheanacho into Aguero’s boots and opting to use Pablo Zabaleta in midfield rather than using Alex Garcia, making it easy to understand why Jesus opted to stay at Palmerias to the end of the their domestic season. The 19 year old forward originally signed for the club in summer, but stayed on at Palmerias and helped his team win the domestic title. Jesus told the official City website he’s hungry for more domestic success. He said, “I want to win titles, and Manchester City is a club that is used to winning. City is a club that is always competing for the title and every competition it enters, so that was an important factor. Jesus was a man very much in demand due to qualities such as his hunger and work ethic, so they will be looking for him to bring that tenacity on to the pitch, and he’s been backed to do so by the City’s Director of Football, Txiki Berigistan. Commenting on the signing, Berigistan said “Gabriel is a technically gifted player who was chased by some of the biggest teams in Europe. I think he could become one of the best forwards in the game. With Pep Guardiola as the manager and the squad we have here, Jesus has the platform to reach his full potential. Gabriel Jesus will draw comparisons with another Brazilian who joined City for a hefty fee, Robinho, who signed from Real Madrid. Robinho was seen as a catalyst signing and a new start under the Sheikh owners. City fans will be hoping this weekend he can help them turn a page in their season and bring some Samba flair in to a dreary season which looks like it could slip away from them.